As promised over a year ago, we've completed "Rex Fabula". I hope those of you who have hung in until the end enjoyed the series. I'm happy to be done translating and lettering the series, but I'm sad to see the series end. 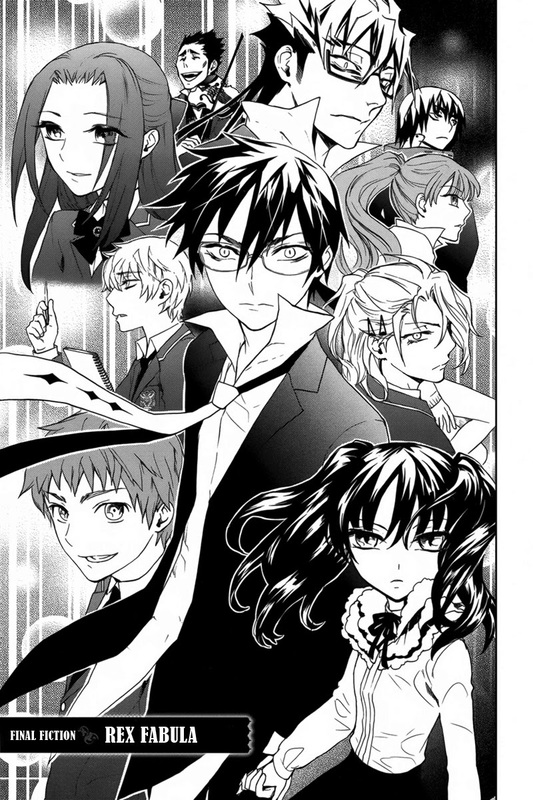 This is one of those rare series where I like all of the characters... yes, even Shion. Shion grew on me at the end. A big thanks to everyone who worked on this series. I would like to give special thanks to Aoi Kuma for doing ALL of the tough redraws for the second half of the series. Thanks to her, we were able to produce some amazing releases. Thanks to Peonine and Jade for helping me with the translation. This was not an easy series to translate, so I'm grateful to them for helping me produce a fine translation and adaptation. And finally, to our proofreader/QC team for jumping on these last 5 chapters immediately. This was a great team effort! Oh! And the biggest thanks to Kairi Fujiyama for writing and illustrating this wonderful series. I know we fans would all love a sequel to this series. Next up! We are starting to prepare for our 5th anniversary in June. We may start in the second half of June this year to give us time to complete some oneshots. This means May will only have a few releases.